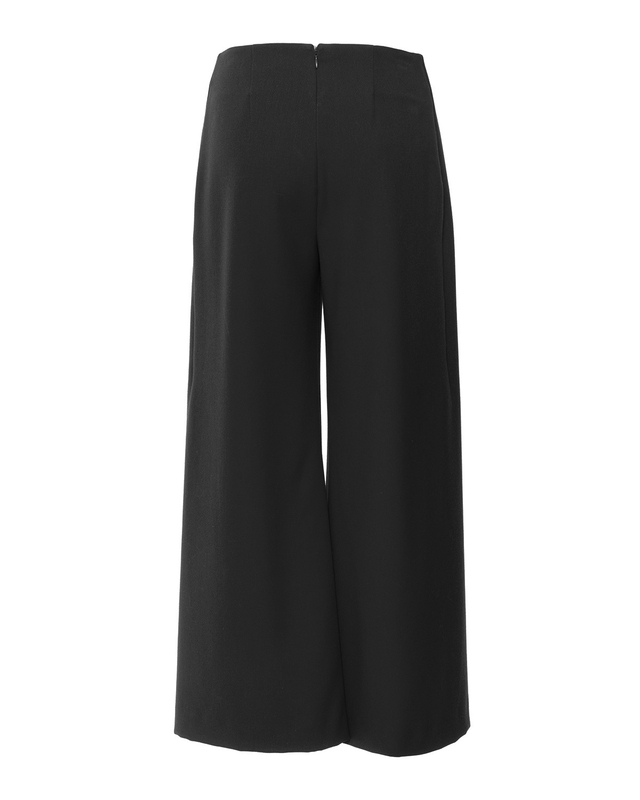 Update your wardrobe with these sophisticated cropped pants. 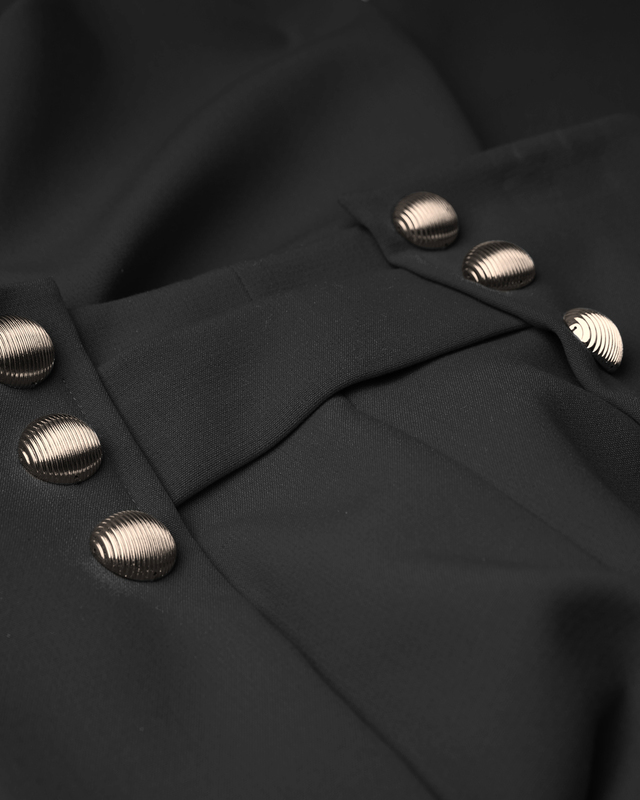 The elegant black shade is sure to make you noticed at chic evening events. 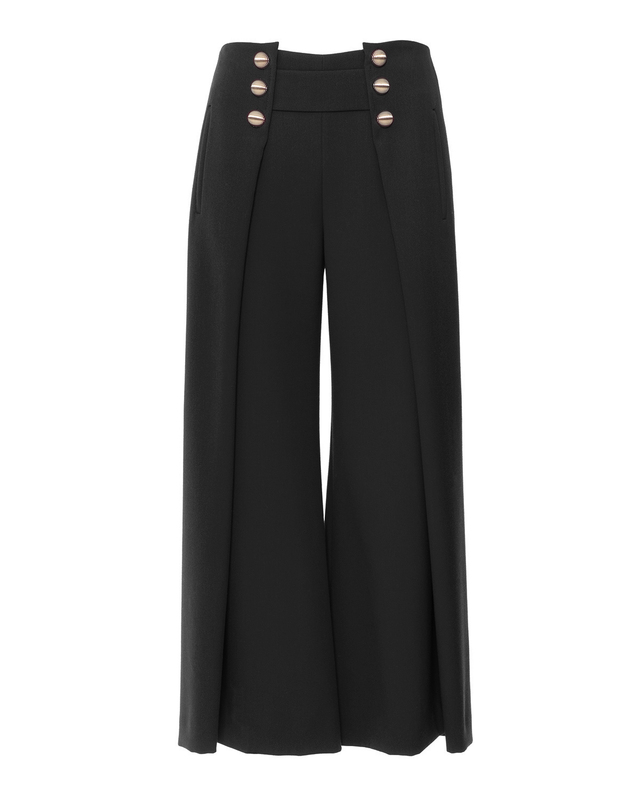 With their soft line and natural waist, the pants are embellished with gold buttons that accent the front. Perfect for pairing with ankle boots and a solid-coloured white blouse.